When switching focus from one window to another, the target window may become blank. See the attached screenshot, where I opened two gnome-terminals and clicked on their titlebars alternately - the issue was triggered after about 5-10 clicks. I've had this happen on other appications too, e.g. software-centre, empathy, etc. Verification requires an nVidia GPU with proprietary drivers. The problem can not reliably be reproduced at will, only after some time (depending on resident GPU memory and usage) and even then only randomly. 3. Click the window icon on the launcher to maximize it again. It is unlikely this change has the potential to introduce new regressions. Fix was cherry-picked from the Ubuntu "Vivid Vervet" dev relase where it has been in use for some weeks without problem. Strangely now I'm having the same problem but the windows contents are transparent instead of solid grey. Are you still facing this issue with latest unity and compiz in natty? Actually, no, this disappeared about 2 weeks ago. App window is frequently blanc after start, Maximise-minimise somуtimes helps me. Context menu in firefox is blanc too. I have this exact bug as well. For me this constitutes a severe usability issue. Optional: this happens only in Unity, where the first window are less likely to remain empty than next windows. In Gnome's all good. Yeah.. this is really starting to irk me. It most consistently is happening with Firefox and Chrome.. sometimes no amount of tabbing will bring back the contents of either. Old nVidia Geforce 6150 LE graphics card. 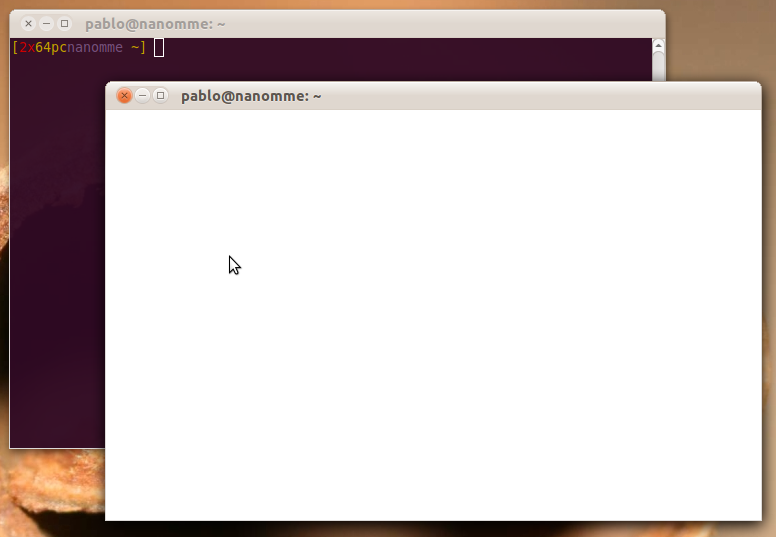 This has never happened in any other Ubuntu that i've seen. Well, for me this happens wen I maximize windows, then they appear blank, but when I resize them they become normal (All windows become normal when they reach a certain size, this size seems to be the same for all the windows). A fact is that when I open amarok and maximize or minimize it, a few seconds later it crashes, it doesn't happen when I keep it under a tiny window (so the window is not blank) Amarok then reports a seg fault error. This makes me think that this problem happens when windows are minimized too even when we are not able to see it. Last, for I reason I don't know this time firefox is working properly maximized. I'm using 64 bit edition and I use an Nvidia card like the guy who posted this bug. This problem has definitely stopped happening for me (the original reporter), so for devs to investigate I think it would be more useful if one of those currently affected reported a new bug and attached their apport-collected data. Where is this Metacity Workaround Plugin you speak of? How could we create a new bug and retain the descriptions listed here? would it make more sense to post our debug info to this thread? also-- I discovered that even while using the classic gnome desktop, the problem still exists, though in a much diminished sense; now windows are displayed blank when maximized, and even then, at a low frequency. In my studies it has mainly to do with the obscene memory usage Unity is causing compared to previous versions of Ubuntu. 800MB idle! But yeah, who knows. > How could we create a new bug and retain the descriptions listed here? > would it make more sense to post our debug info to this thread? > displayed blank when maximized, and even then, at a low frequency. > appications too, e.g. software-centre, empathy, etc. > the mouse cursor was an I-beam before I pressed PrtScr). > image from the 1st of March. correction, this bug is now fully present in the classic desktop. Moreover, I have discovered a fairly consistent behavior: When multiple aplications are open, the bug can manifest itself as: the active window is blank (white in my case... title bar displays but nothing else.) while windows behind it will display content. If one of the unfocused windows is selected, it gains focus, and goes blank. The previously blank window, no longer focused, regains its content and is no longer blank. Switching between applications, the ones gaining focus always going blank only to regain content after losing focus is quite infuriating. @anthonyjschulte: most of the info here you don't want to retain. My description and apport-collected info are irrelevant, and so is my screenshot. There are some pieces of information that might be useful (especially that everyone seems to be on an nvidia card), but that can be very easily written in a new report. Just run 'ubuntu-bug compiz' from the command line to file a new bug report, and try to get a screenshot of the problem happening to you. Then post a link here so that other people can follow over to the new report. > Are you still facing this issue with latest unity and compiz in natty? > packagers, which is subscribed to compiz in Ubuntu. Yes- I observe that the larger the window, the more likely it is to be blank. When (enlarging) a window, the size can be increased up to a certain point at which the window goes blank. having trouble allocating those pixmaps. which say something like "failed to bind pixmap to texture" ? > certain point at which the window goes blank. > Bugs, which is subscribed to unity in Ubuntu. killall compiz, and somehow reopen from a terminal? I will post my .xsession-errors to: https://bugs.launchpad.net/ubuntu/+source/compiz/+bug/753144 tonight. > killall compiz, and somehow reopen from a terminal? (process:2060): GLib-WARNING **: In call to g_spawn_sync(), exit status of a child process was requested but SIGCHLD action was set to SIG_IGN and ECHILD was received by waitpid(), so exit status can't be returned. This is a bug in the program calling g_spawn_sync(); either don't request the exit status, or don't set the SIGCHLD action. (<unknown>:2060): libindicator-WARNING **: Shortcut Group does not have key 'TargetEnvironment' falling back to deprecated use of 'OnlyShowIn' and 'NotShowIn'. You certainly don't want to run that with sudo. oops-- why is that? It gives root priv. to all processes in unity? It runs compiz with the unity profile as root, yes, but rather than being a security/permissions issue I would guess it simply wouldn't connect to the user's X session and Gnome services and crash due to that. Do it without sudo for useful output. (<unknown>:1938): libindicator-WARNING **: Shortcut Group does not have key 'TargetEnvironment' falling back to deprecated use of 'OnlyShowIn' and 'NotShowIn'. I need the output for when you actually start getting blank windows. > (<unknown>:1938): libindicator-WARNING **: Shortcut Group does not have key 'TargetEnvironment' falling back to deprecated use of 'OnlyShowIn' and 'NotShowIn'. I can repost here if necessary, but it was recommended that I file my own bug since OP says it stopped on his machine. > I need the output for when you actually start getting blank windows. > Screenshot would be nice. > > (<unknown>:1938): libindicator-WARNING **: Shortcut Group does not have key 'TargetEnvironment' falling back to deprecated use of 'OnlyShowIn' and 'NotShowIn'. time. Maybe that will help. This is also affecting me. Very, __very__ annoying. It happens both in unity and in ubuntu classic. Box is a Dell Optiplex 740 (AMD), i386. I can provide further details if guided. Let me know what you want me to capture, send. Only white window bug 1002602 is definitely fixed. Not this one. Though I suspect we need to divide the duplicates of this bug into a couple of bugs. It's possible some of them might have been fixed with bug 1002602. However I still get white windows when restoring minimized windows using the Unity switcher for example. Hmm, that's strange. I put in a workaround for bug 729979 in http://bazaar.launchpad.net/~unity-team/unity/trunk/revision/2273 of unity. While it is a workaround, both didrocks and I tested it and it worked for both of us. Daniel, do you have "keep previews of mimized windows" disabled? If so - we should remove the option, it is meant to be on by default, and the only reason I had it as an option was because it wasn't fully polished when it went in. "Keep previews of mimized windows" is disabled as it is for everyone in 12.04. If you think it should be enabled, then a proposal enabling it should be made. I have now tested enabling it, with standard precise AND with this fix backported to precise. In all cases the white windows persist on restore (using Unity). Note the white windows on restore only happen with Unity. Running the latest lp:compiz without Unity, there are no white window problems. I have not yet tested other combinations, so please don't ask. says that its turned on by default. > have not yet tested other combinations, so please don't ask. > Maintainers, which is the registrant for Compiz Core. Hello, the best solution so far has been to match the shade of the windows. Inactive Active shadow = shadow. no longer turn black when minimizing windows in 98% of cases, being in full screen some windows still looks black to minimize. Ubuntu 13.04 on a different computer; now I'm using noveau (or whatever it's called what comes by default with Ubuntu) instead of proprietary Nvidia drivers. Problem still there, but windows are now TRANSPARENT instead of black. It's not just switching windows, it's WHATEVER RANDOM WINDOW that is opened and given focus, including even popups (e.g. confirmation or error popups) and submenus. - in Gedit you hit Ctrl+H, and the Search and Replace window that pops up, at random times is transparent. All of these happen at random times, but when they start happening with a given application, they will usually keep happening systematically untill you close and relaunch that application. So how do I get the supposed fix that is supposed to have been released?!?!?!? What is the workaround for 12.04 LTS ? There is no "Show live previews of windows in the Switcher". "Show minimized windows in switcher" does not help. 3. All windows that were previously minimized are now 'empty' when restored. 4. Minimize and restore the window to see the contents again. Super-W puts on an interesting display (and loses track of minimized windows) after 'unity --replace'. Minimize/restore will bring them back to Super-W, however. I support the notion of Matthias Niess above. I experience the same, and with the recent 14.04 updates, it happens a lot more often! I cannot see any reason for this bug being set fix released. Reverting to Triaged. I've been through and reproduced this bug on every release since Precise, using exactly Matthias' test case from comment #202. All my tests were on 64-bit installs, totally up-to-date, with newly-created home directories. I have not yet personally seen this happen with nouveau, only the proprietary nvidia driver. I'm on 14.04 with Nvidia prime. This bug happen when i swith on nvidia card, and disapear when i swith on the intel graphic card. I think the bug begin when i installed compiz setting manager. And everything work fine if i disable window minimize animation with unity tweak tool. Why it's invalid for precise?, happening in Precies very often. Very annoying! 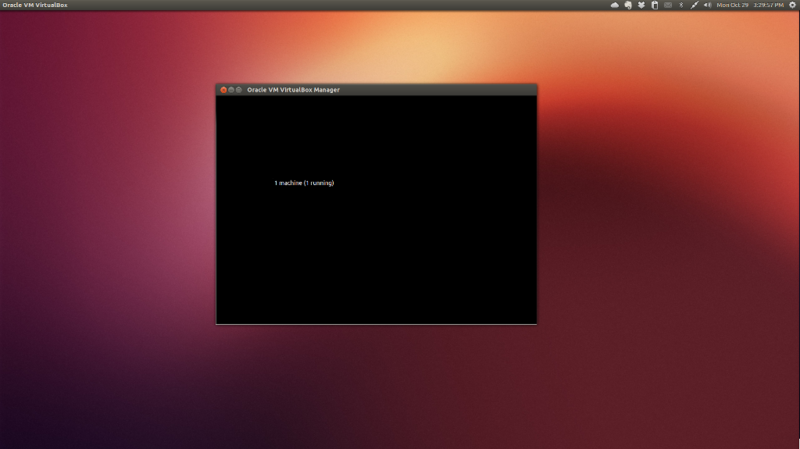 Ubuntu 13.1064bit & Ubuntu 14.04 64bit disable Animations in CCSM seems to stop this problem.. Still happens in 14.04 beta and the work-a-round is to disable animations in CCSM. It also happens on 12.04, why was it marked as "Invalid"?! I don't know how to do it but can someone also retarget this to trusty? This also seems to happen sometimes when waking up from suspend. Disable "Animations" plugin in CCSM seems is a working workaround. Same here. Ubuntu 14.04 64bits, Nvidia 331.38. Disable plugins did the trick, but I'm waiting for a real fix. Looking through some of the bug history, it seems this is specific to Nvidia and the proprietary driver. I'm thinking this is really a duplicate of bug #269904. In that bug, there is a patch provided by Nvidia that hopefully fixes that issue. At this time, we cannot get that patch into Compiz proper due to some silly licensing issue, but I have made a PPA that has the fix incorporated. This PPA has packages for Precise, Trusty, and Utopic. If anyone would like to test this out and report your results, please add https://launchpad.net/~townsend/+archive/compiz-nvidia-refresh-test and give it a try. I'm hoping that if we can get enough feedback that say this fixes the issue for many users, we can use that as leverage to get *something* done about getting the patch merged into Compiz. 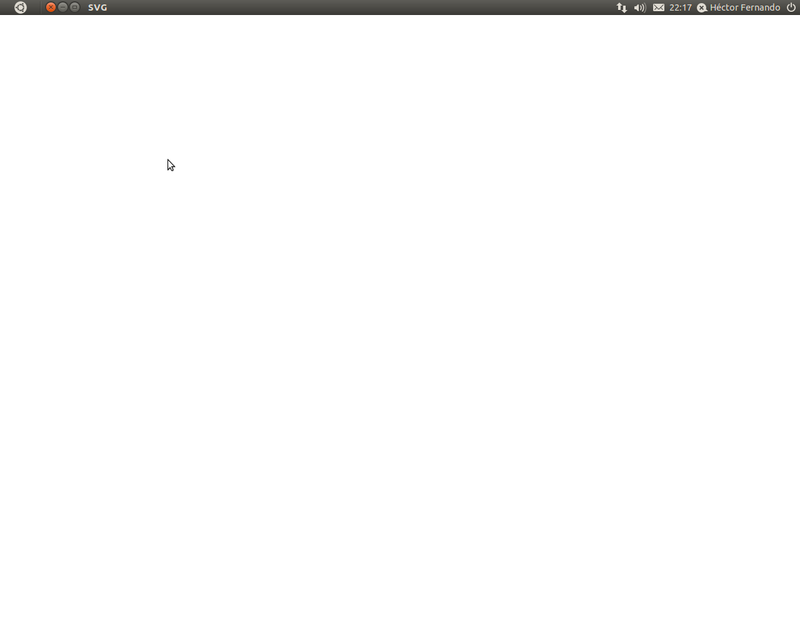 I tried your PPA on Precise and Trusty, and this bug (minimize, scale, restore → blank window) still occurs. As far as bug 269904 I need to touch base with my users who are affected by it... will post an update there when I can. Thanks for trying to move that forward, greatly appreciated. Yes, this issue still persists, even after using the compiz build from the PPA on 14.04 LTS. See screenshot attached. Ok, well, it was worth a try. Thanks for those who tested and provided feedback. 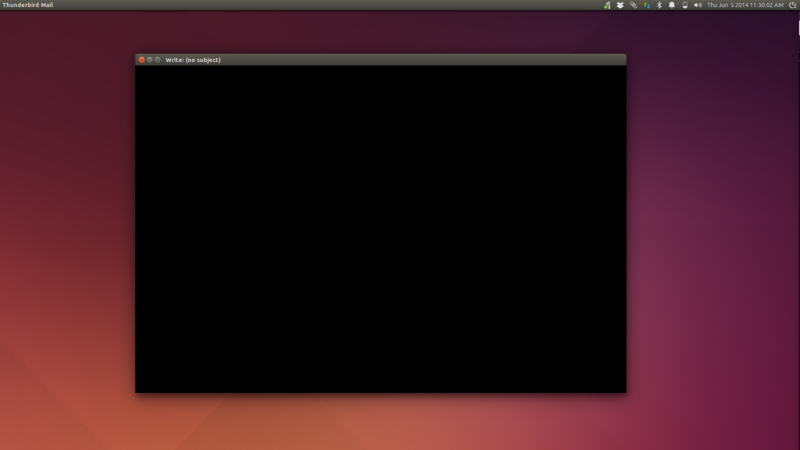 Ubuntu 14.04 LTS - GTX 750 Ti, 331.89 drivers - black window when using Super + W and opening minimized window. Is it going to be fixed? Same here: Ubuntu 14.04.1 LTS - NVIDIA GeForce GTX 460M, using 331.38 drivers. The only change from 12.04 is that windows are now black -they used to be white. In comment 215 I wrote that there is a workaround (Disable "Animations" ), but no, problem reappear. Hi Cris, unfortunately bug still persists (black screen when click minimize/restore on some applications, ccsm as example). Ubuntu 14.04.1, GeForce GT 610. Accepted compiz into trusty-proposed. The package will build now and be available at https://launchpad.net/ubuntu/+source/compiz/1:0.9.11.3+14.04.20150313-0ubuntu1 in a few hours, and then in the -proposed repository. @adconrad, is this in utopic-proposed, too? Judging by your link it doesn't look like it. The problem still exists in utopic (without proposed enabled). @adconrad, sorry for spamming. Just saw this fix is not in utopic-proposed. I've got no trusty on affected machines, sorry. 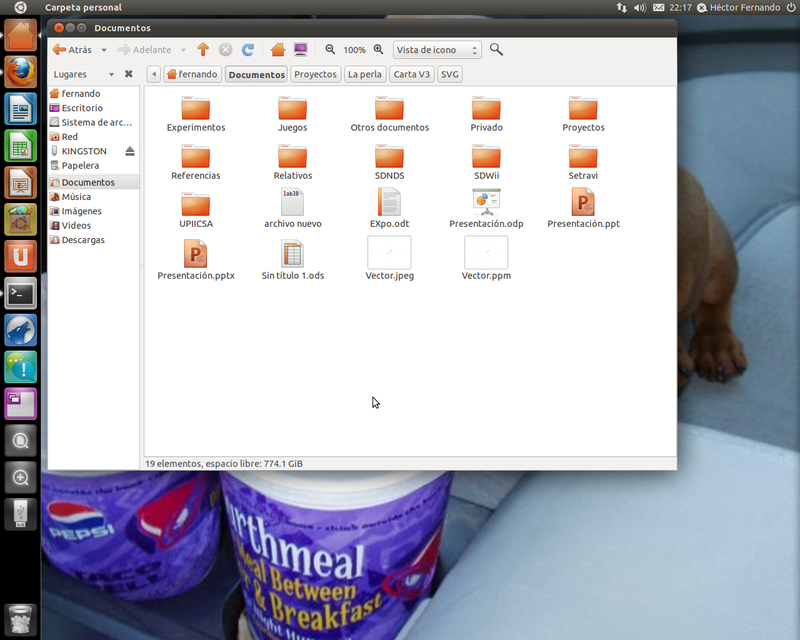 With compiz 1:0.9.11.3+14.04.20150122-0ubuntu1 (trusty-updates): restored window is transparent. With compiz 1:0.9.11.3+14.04.20150313-0ubuntu1 (trusty-proposed): restored window is drawn correctly. So any chance this fix will also make it into newer versions of Ubuntu? This fix is already in Vivid, but not in Utopic. The verification of the Stable Release Update for compiz has completed successfully and the package has now been released to -updates. Subsequently, the Ubuntu Stable Release Updates Team is being unsubscribed and will not receive messages about this bug report. In the event that you encounter a regression using the package from -updates please report a new bug using ubuntu-bug and tag the bug report regression-update so we can easily find any regressions. Displaying first 40 and last 40 comments. View all 235 comments or add a comment.